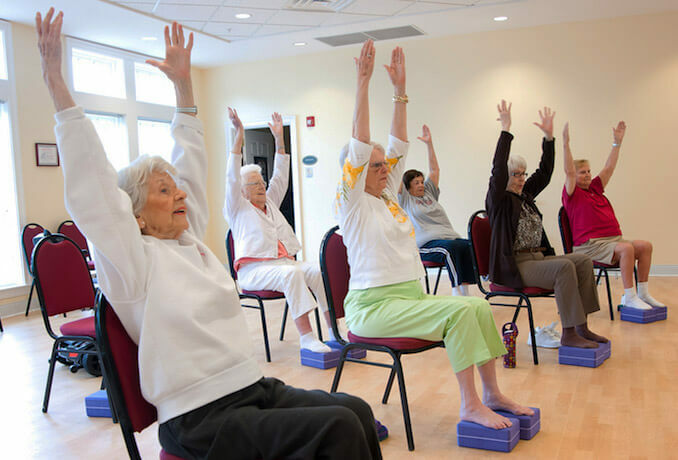 "Yoga for Seniors" classes are now open to the public! Classes are located at Still Hopes Episcopal Retirement Center. Read below for details related to this wonderful event. For more information about contact Denise Heimlich at 803-796-6490 . Many of these benefits are no different for seniors (55+). As we get older, muscles tend to stiffen, our joints lose their range of motion and we become more susceptible to chronic problems such as osteoporosis, arthritis and heart disease. Yoga can help slow down the effects of the ageing process by maintaining muscle softness and flexibility, keeping the mind alert and awake, encouraging relaxation and strengthening muscles and joints. Its multi-pronged approach can encourage the body, mind and spirit to remain healthy and strong while reducing the effects of many age-related issues. 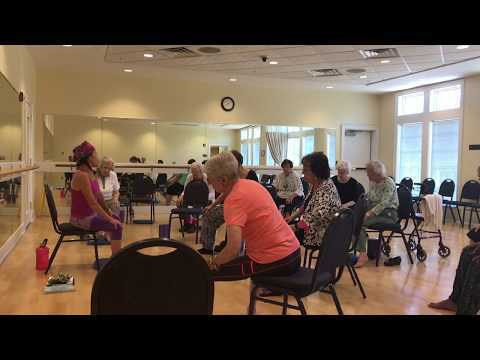 Yoga for the seasoned student consists primarily of chair yoga. Mature students are able to get the full experience of a yoga class, without the challenges of a mat practice. 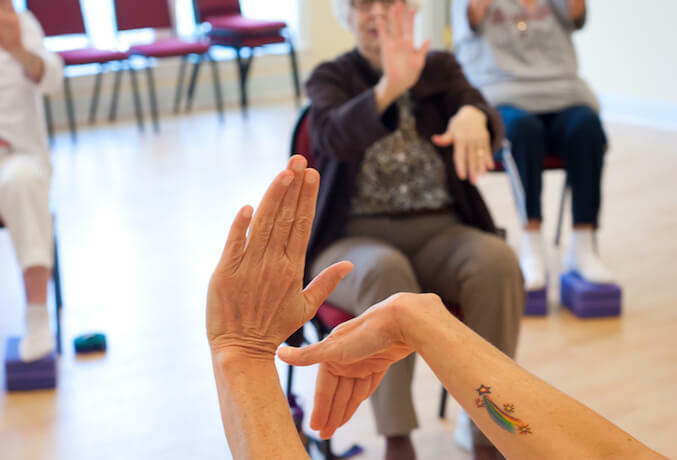 Ginger’s chair classes combine physical movements to loosen joints, stretch and strengthen muscles; bio-energetic stimulation for brain functioning; and sound vibration therapy for endocrine health and vitality. There is a strong emphasis on breathing exercises to strengthen lung capacity and increase clarity of mind.